A colossal number of brain cells, hundreds to thousands, are born each day, but most die within weeks unless the brain is forced to learn something new. Learning rescues these new cells from death. Then more neurons survive and sprout connections to their brethren. The harder the task, the more the survivors. Try the exercise yourself to rescue your own brain cells from death, helping them survive and thrive. You already know that if you don’t move your body, muscles can wither and atrophy. The same “use it or lose it” principle applies to the brain. You create new neural circuitry by learning something new. You lose that circuitry if you don’t repeat the firing of those neurons. When you deliberately set about learning something new, you create a surplus of gray matter in your brain (cognitive reserve) that buffers against the loss of brain cells that comes naturally with aging. You’ll notice that all of these examples are procedural learning, the brain is learning how to do something and processing the experience of that doing, not just memorizing new facts. The more complicated the learning, the better. 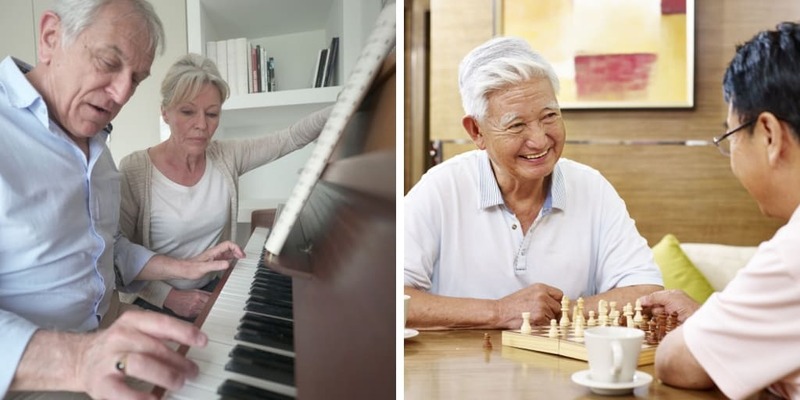 The first two examples, learning to play a musical instrument or learning to speak a foreign language, can reduce the risk of Alzheimer’s by 50% and delay the onset of Alzheimer’s by four years. 1. Choose one option from the list above, or identify your own new focus of procedural learning – knitting, woodworking, making pottery – as long as your choice is something challenging for you and complex for your brain. 2. Choose something you are interested in, that you will enjoy learning over an extended period of time, that will keep you motivated as you move toward mastery. 3. Choose something where you can begin small and repeat little and often. Extend your practice for a significant length of time. Increase the level of challenge over time, so that you’re continuing to stretch and challenge your brain. 4. Choose something where you can experience the growth mindset – I don’t know how to do this – yet, but if I put in the effort and persevere, I will see progress, I will succeed. 5. Pursue your learning with a partner or small group of people if you wish. The social engagement can be powerfully motivating, encouraging, rewarding. These practices not only preserve neurons needed for new learning but also build a cognitive reserve so that extra neurons are available for other cognitive tasks: Paying bills, doing your taxes, choosing new colors to repaint the house – all part of our resilience.